Damaged hair is the most common problem many women must struggle with. It is extremely difficult to find a decent product that will deal with such strands. Many girls give up the fight and simply trim even long hair. Such defeat is bitter because it touches women’s weak point: the state of beauty and attractiveness. Fortunately, nowadays, everything has changes. The word ‘regeneration’ regained its good name because a new, revolutionary product appeared on the cosmetic market. It is a hair oil called Nanoil. However, before you discover its wonderful properties, you must first find out what harms your strands and determine their level of damage. How does damaged hair look like? You must be aware of the fact that if you often colour-treat or bleach your hair as well as strengthen or dry it with hot air – eventually it will become extremely damaged. For now, it might not be visible on its outer layer but (unfortunately) you can be sure that the inner disulfide bonds have been broken. In consequence, you strands begin to lose condition, resilience and immunity. Soon, the inner keratin layer will also suffer. The cuticle layer will become looser and as a result hair will gain high porosity. This means that it will require more intensive care and a large number of nutrients supplied to the interior. Unfortunately, such hair type (also referred to as high porosity) absorbs toxins as well. Gaps and holes in the cuticle are not a good protective shield. Thus good and bad components can get inside your hair. Damaged hair is thin, dull, susceptible to breakage and falls out. Its structure is rough, does not reflect light hence the entire hairdo is shineless. Such strands lack moisture and their ends are split. It is very difficult to restore their good condition and maintain nice appearance. They require a product that will perfectly fit to their structure and, at the same time, will not harm with a large volume of dangerous chemical ingredients. Until now, finding an ideal hair regenerating product was almost a miracle. Right now, everything has changed to better, thanks to Nanoil hair oil. Nanoil – enhance your hair! What makes Nanoil hair oil the best product in hair care? Nanoil is an innovative product, aimed at a particular type of hair and its needs. It comes in 3 versions, including one for extremely damaged and dehydrated hair with high porosity. Nanoil debunks some unfair stereotype, saying that intensively regenerating hair products work, but always at some expense (shiny strands at the expense of a complete neglect of the internal structures, regeneration of the hair shaft at the expense of negligence, and sometimes even irritation of the scalp, clean scalp at the expense of weakened bulbs) … Thanks to Nanoil hair oil, it does not have to be that way. Oil perfectly regenerates and repairs hair while improving its external and internal structure. It balances moisture level on the scalp and strengthens the roots. What is more, it is completely safe, natural, free of parabens or drying alcohols. What does Nanoil for high porosity hair contain? The composition of Nanoil will sweep you off your feet. Inside, you will find a set of carefully selected natural oils that fit perfectly to the structure of high porosity hair (due to the predominance of large non-penetrating particles that regenerate strands from the inside, and protect the outside, thereby preventing toxins from penetrating). Nanoil for high porosity hair comprises 6 natural oils of high quality: almond oil, argan oil, evening primrose oil, avocado oil, maracuja oil, cotton seed oil. Their regenerative and rejuvenating power is priceless. Oils are a source of vitamins, minerals, fatty acids of omega-3 and omega-6. Their action is supported by a number of substances that are extremely important for the healthy growth and regeneration of hair: keratin (the natural building blocks of hair outer layers), panthenol (helps produce keratin and regenerates hair), lanolin (softens and smooths strands, provides flexibility), vitamin E and A (strong antioxidants that slow down the ageing process), UV filter (a vital component of protection from the damaging effects of the sun radiation), silk (ensures softness, elasticity and smooths hair). Nanoil brand is also aware of this fact, that is why it placed ‘a cherry on the top’ inside. Nanoil contains innovative ingredients that not only regenerate bulbs but also by improving their condition, contribute to boosting hair growth (the effect of the co-called baby hair). Strong and healthy bulbs mean strong and healthy hair. I have been trying this hair oil @nanoil.hairoil and I love it so far. This complex of natural oils, vitamins, and nutrients deeply rebuild and tame your hair, increase volume, facilitate combing and styling and stimulate growth. You can use it in many ways but I like to leave it in overnight for in-depth regeneration. This oil also has UV filter 😉 . You can take a hair porosity test to identify your hair type. My hair is damaged so I took the high porosity one. Nanoil hair oil will change you life for better in less than 30 days. What is also important, is that Nanoil hair oil can be used in several different ways (it will replace a variety of products, such as: ampules and scalp conditioners, masks, heat protecting serums and polishing lotions). 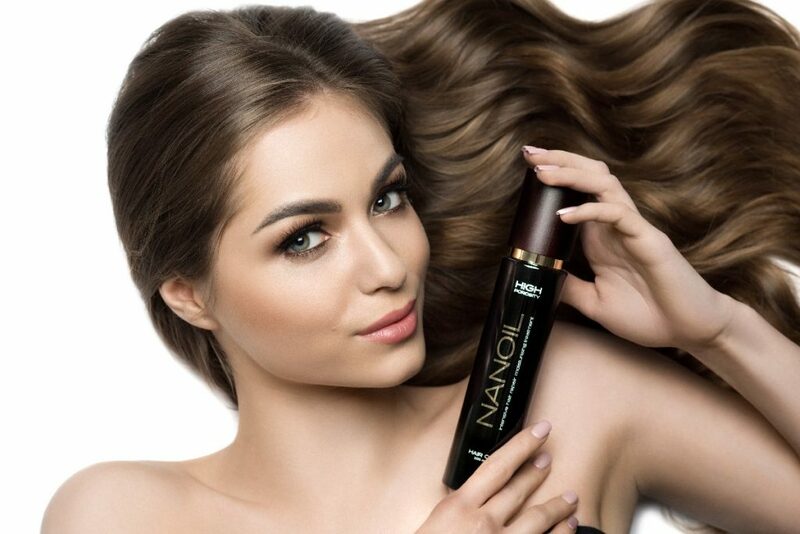 Nanoil – there is nothing better for your hair!